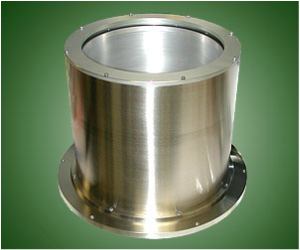 AJA International, Inc. has developed a wide range of magnetron sputtering sources since 1991 including many larger models specifically designed for production applications. Rectangular, circular, cylindrical, triangular and rotating magnet versions are offered depending on the substrate geometries, production volumes, chamber configurations, target material constraints and the desired film specification. See further details below or contact AJA about your requirement. The AJA Nautilus Series "rotating" magnetron sputtering sources have been designed to meet the most challenging application requirements in today's thin film deposition markets. Development of these sources has been an extensive process involving several years of field testing and resulting in a sputtering source with some very unique features which can make both retrofit and new system design a much simpler process. In most applications, our customers are trying to achieve optimum uniformity at maximum rate and target utilization. Our unique, rotating, modular magnet array and highly efficient target cooling design make this goal achievable. In a growing number of applications, for example disk coatings, it may be necessary to arrange the rotating magnet array to produce an inherently, non-uniform deposition to compensate for chamber shielding / geometry. This requirement is easily accomplished with the highly accessible, rare earth, modular magnet array. Integration with a new system design is facilitated by an optional hinge-plate which permits the operator to "flip" the source for easy access target changes and cleaning. A fully self-contained gas introduction system helps offset the effects of asymmetrical vacuum pumping and simplifies cleaning since the gas ring is easily accessed during target changes. If gas is introduced through a small hole in the mating flange between the source's double o-ring seal system, no external, flexible gas lines are required which can easily fatigue causing vacuum leaks. 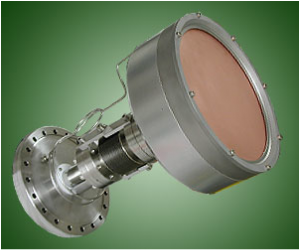 Aesthetically , the Nautilus Series "rotating" magnetron sputtering sources are sleek and compact. Since they feature a gear-less, direct-drive design with a minimum of moving parts, they are almost completely silent during operation. The evolution of this product has resulted in the most service friendly product of its kind on the market thereby providing our customers with maximized "up time" and frustration free maintenance. STX Series Sources have targets from 5" to 12" Ø. These sources feature a special modular magnet array allowing for balanced, unbalanced, magnetic material, closed field, high utilization and high uniformity configurations. 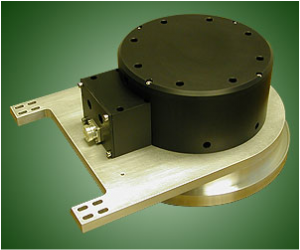 These units run with high power DC, Pulsed DC, HiPIMS, AC, and RF and feature direct or indirect water cooled backing plates. Both internal and external mounting is available. Tilt gimbals are offered with some sources for long throw, con-focal deposition at pressures as low as 0.2 mTorr. 1 meter. These sources feature a special modular magnet array allowing for balanced, unbalanced, magnetic material, closed field, high utilization and high uniformity configurations. 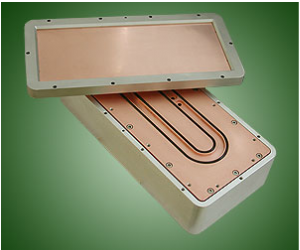 These units run with high power DC, Pulsed DC, HIPIMS, AC, and RF and feature direct or indirect water cooled backing plates. Internal and external mounting is offered. Adjustable gas injection frames optimize uniformity regardless of pump location dynamics. In larger 3D coating applications the CTX Series of cylindrical target magnetrons accomplishes the task in one easy step. With the sputtered flux arriving from the inner surface of the cylindrical target, this special source keeps the entire substrate surface "in the plasma" throughout the deposition for highly uniform film properties. Off-axis deposition and low damage films are easily realized. Custom built sources range from 6" to 24" ID. Targets can be machined from solid, rolled and bonded or plasma sprayed materials. Sources feature integral process gas distribution. 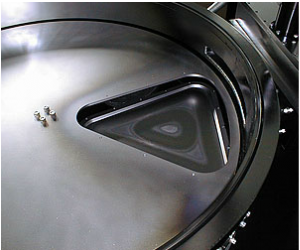 In cylindrical chamber configurations where substrates are fixed to the periphery of a rotating table or "spider", the ideal sputter source shape is triangular. This optimizes uniformity while minimizing the rate loss due to uniformity shielding. 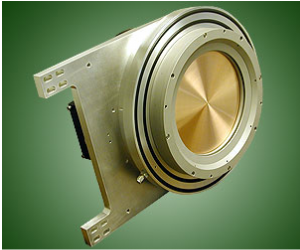 AJA has developed the unique TR5313 Concentric Triangular Magnetron Sputtering Source. These sources can be run with RF or any form of DC. Integral isolation chimneys, gas distribution systems and QCM ports are "designed in" for maximum uniformity and process control.